If you want a nice, family friendly beach vacation, look no further than Gulf Shores, Alabama and Orange Beach, Alabama! This area is located in the southeast coast of Alabama, near the Florida border. It boasts beautiful white sand beaches and the warm waters of the Gulf of Mexico. With 32 miles of soft sand and clear water, you can surely spend your days swimming and taking walks up and down the beach. If you prefer to be more active, ziplines, championship golf courses and fishing are all popular activities! In fact, Orange Beach is home to the countries largest artificial fishing reef! However you may chose to spend your vacation, laying by the beach or deep sea fishing, give Gulf Shores, Alabama and Orange Beach, Alabama a try. Once you visit, you will sure to go back! Tip: If you are looking to fly into the area, the nearest airport is located in Pensacola, Florida. 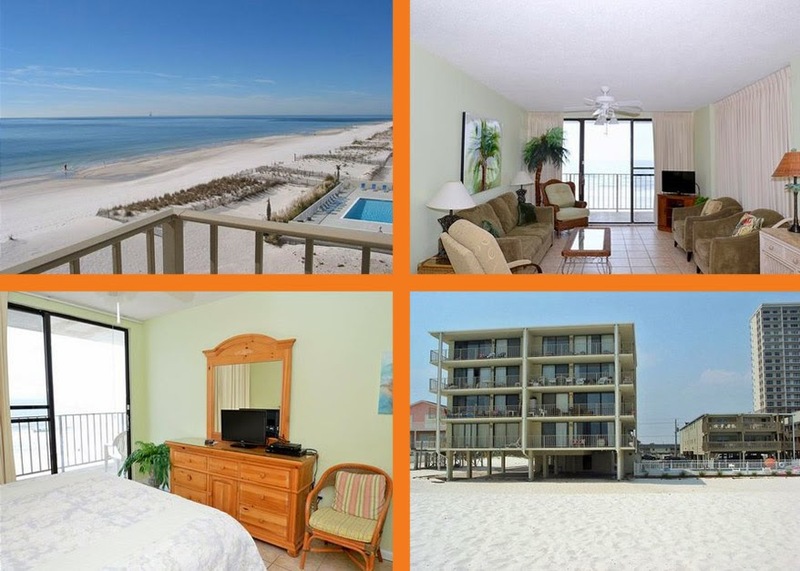 To help make your stay the best yet, consider a vacation rental in Gulf Shores, Alabama. These properties will allow you more room than a standard hotel room and for a great price! Here are a few examples of vacation rentals in Gulf Shores, but don't worry, we have over 530 if one of these does not work for you! 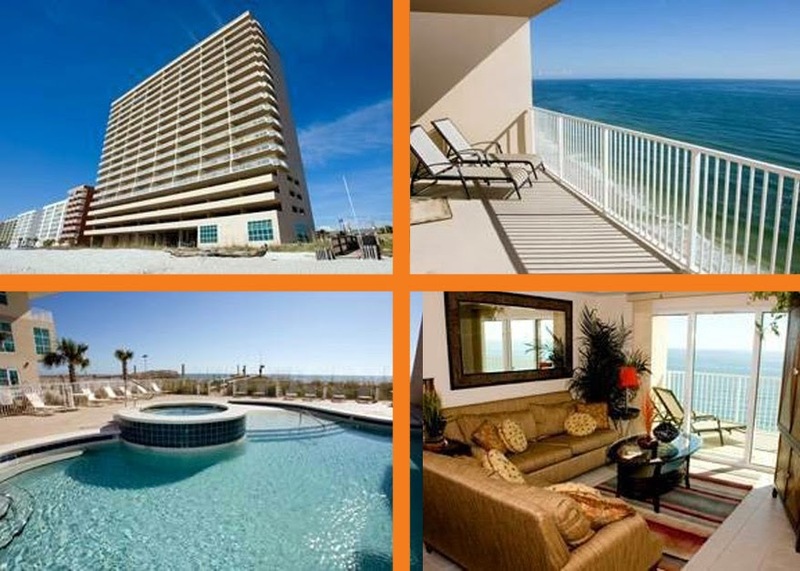 This is a beautiful oceanfront condo in Gulf Shores! With 3 bedrooms and 3 bathrooms, you can sleep 6 comfortably! The master bedroom has a private bathroom with a jacuzzi tub-so relaxing after swimming at the beach all day! Wonderful views of the ocean from your living room, master bedroom and private balcony! This oceanfront property offers a zero entry pool, ocean view fitness center, sauna, barbeque grills and more! This is a wonderful 3 bedroom condo in Gulf Shores, AL. Book today! 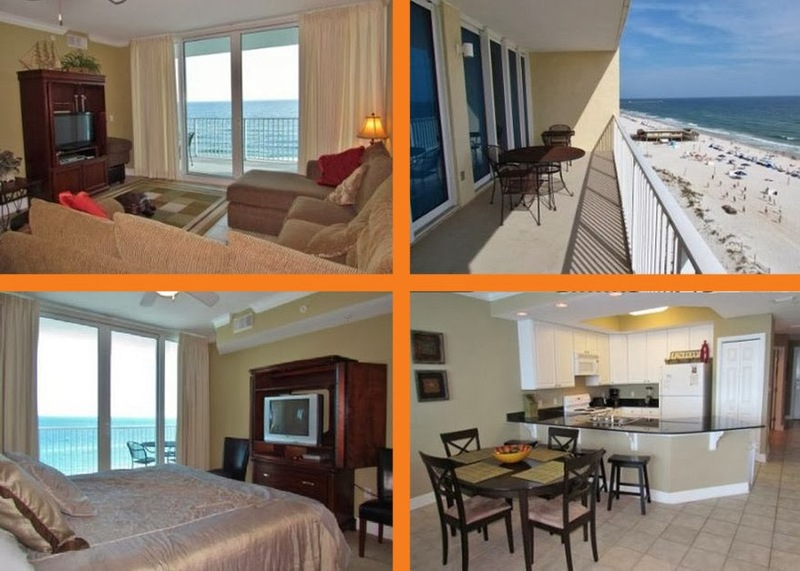 Another great property is this 2 bedroom oceanfront condo on Gulf Shores wonderful beach! This condo can sleep up to 6 people and is decorated extra nice! The Gulf views from the living room and master bedroom are amazing! Relax at the properties oceanfront pool, hot tub and have a fabulous vacation! Or have a a little fun in the game room, exercise in the fitness facility , or just relax! Another fabulous 3 bedroom and 2 bathroom vacation rental in Gulf Shores, AL is this oceanfront property! This condo has balcony access from all bedrooms and the living room! Wake up to the sound of the ocean and relax by pool all day. And, the best part, this is the best priced 3 bedroom condo in Gulf Shores ranging from $115-$185 a night. What a great place and a great deal in Gulf Shores! Orange Beach, Alabama has an abundance of properties too. 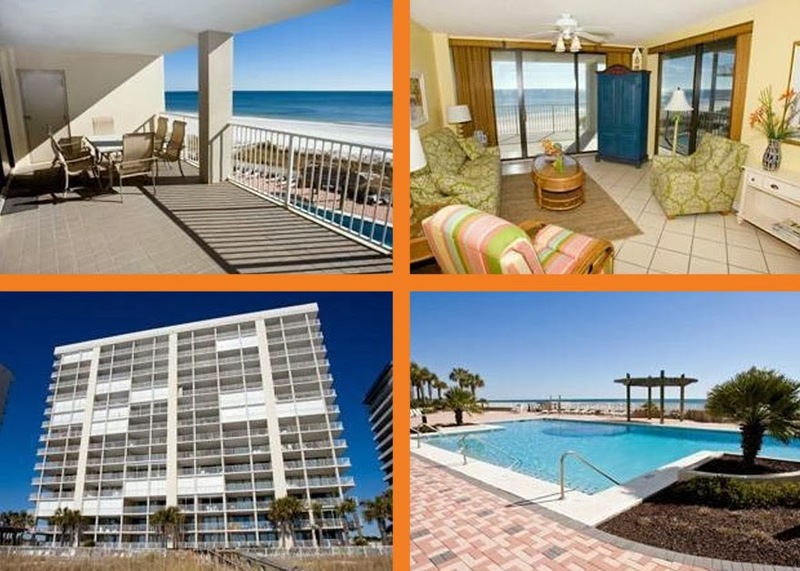 Here are a couple of options for you next stay on the beaches of Orange Beach! 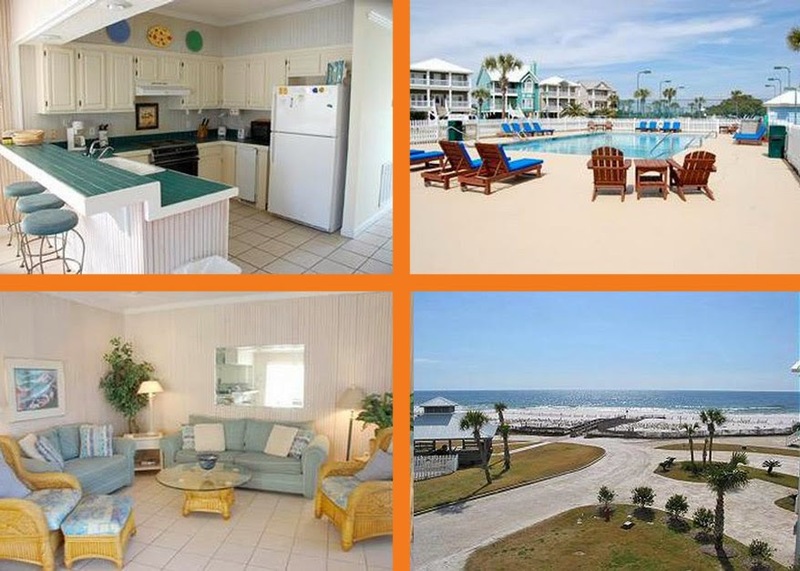 Why not stay at this 3 bedroom and 2 bathroom Orange Beach vacation condo! It has everything you could need to enjoy your vacation, like an oceanfront pool, hot tub, tennis courts, and an exercise facility. Enjoy your large oceanfront balcony for your morning coffee or your afternoon cocktail! Prices start at just $161 a night, so book this condo today! If you need room for the whole family, look no further than this 4 bedroom and 4 bathroom beach house! Located in a private gated community on the beach, this Orange Beach vacation house boasts views of the beach and the ocean from the balconies and the jacuzzi tub in the master bedroom! Enjoy the tennis courts and pool, or relax on the beach! This beach house is the perfect place for your next vacation! If fun in the sun is what you are looking for on your next vacation, check out Gulf Shores and Orange Beach Alabama! We promise it will be a vacation you will remember forever!